THANK YOU 2016 COLOR BLAST 5K SPONSORS! Our global team is passionate about providing people with essentials for a better life by adding convenience to daily routines with some of the world's most recognized products. The Rolling Pin has been serving Owensboro for 65 years. Our reputation for quality bakery products and exceptional service has continued to grow since 1947. We make over 20 varieties of donuts every day, plus assorted delicious pastries, cookies, and decorated cakes. From one to 100 dozen, the Rolling Pin can meet your needs. Providing Everyday Excellence describes the business philosophy of Independence Bank – people helping people and providing you with the best possible banking experience that only a top-performing community bank can. This level of excellence is how we treat our customers and fellow employees each and every day, throughout the counties we serve. All of our employees have one thing in common: a sincere desire to help others. And not just in a matter-of-fact way – but with a smile, a friendly greeting and a word of encouragement. Not all banks are created equal. Some banks have become so large they’ve forgotten the reason they’re in business. Their focus has become their bottom line. At Independence Bank, our only focus is doing what’s right for the customer, what’s right for our shareholders and what’s right for the bank. We take pride in giving nothing less than extraordinary customer service. The kind of service that sends you a birthday or anniversary card. The kind of service that offers you free coffee, a donut and popcorn on Fridays. The kind of service that helps you buy a new home or start your own business. And the kind of service that knows you, your family and your individual financial needs. Dr. Jay Crews is a board-certified pediatric dentist who specializes in providing comprehensive care for kids from infancy through their teen years, including special needs children. Our practice philosophy is centered around preventive dentistry, and we take pride in caring for children in our community. b ​Castlen and real estate have been synonymous in Owensboro for 50 years. Beginning in 1965 and continuing through 1987, Elwood and JoAnn Castlen led the way in providing first-class real estate services to the people of Owensboro. L. Steve Castlen Realtors opened its doors in April 1987, when Elwood and JoAnn retired. L. Steve Castlen, our broker, has been in the real estate business for 40 years. In the past few years, L. Steve Castlen Realtors has captured approximately one-third of all real estate listed and sold through the Owensboro Multiple Listing Service. The mission of L. Steve Castlen Realtors is to consistently provide the highest quality, most innovative and exceptional real estate service available anywhere. Our Mission: Owensboro Municipal Utilities’ mission is to serve our community by providing quality utility services at the most economical cost. 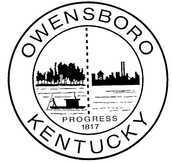 Since 1900, Owensboro Municipal Utilities has been bringing water and electricity to the citizens of Owensboro. In 1997, the locally-owned and operated utility began offering Internet services to commercial customers; expanding this service in 2002 to reach residential users with innovative wireless technology. OMU is the largest municipal electric and water system in Kentucky with more than 26,000 electric, 24,000 water and 160 telecommunications customers.